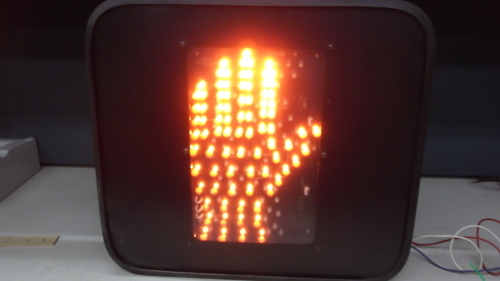 Traffic Stop and Walk sign. Traffic signal walk and stop sign. part no. Part No: 430-6471-001, rated voltage 120. No plug hard wired.